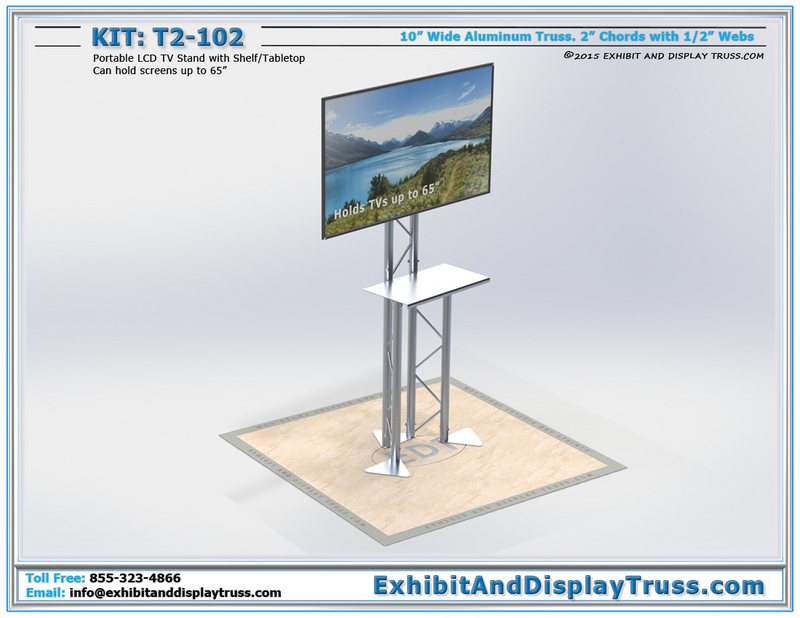 100s of standard In stock aluminum truss systems and displays for all Trade show display space areas. 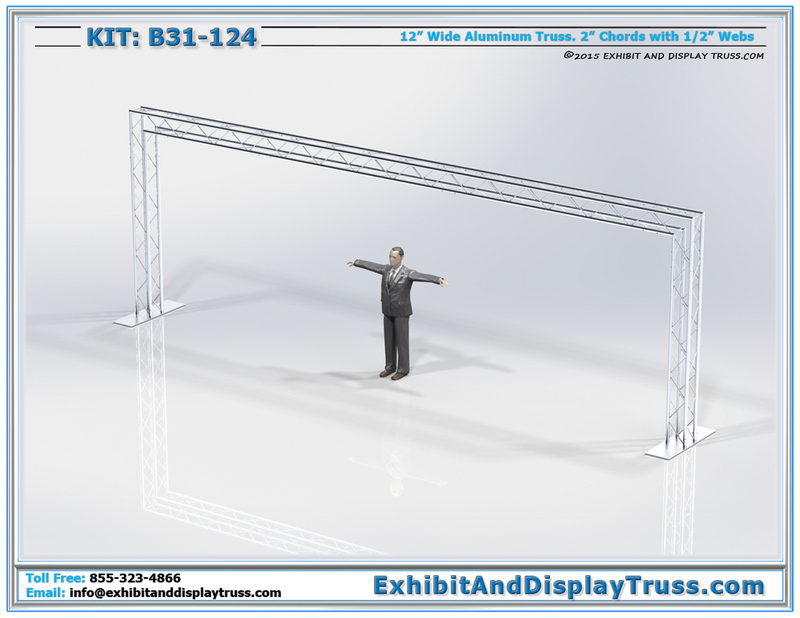 We offer custom truss structures that meet specific needs and any size floor space. 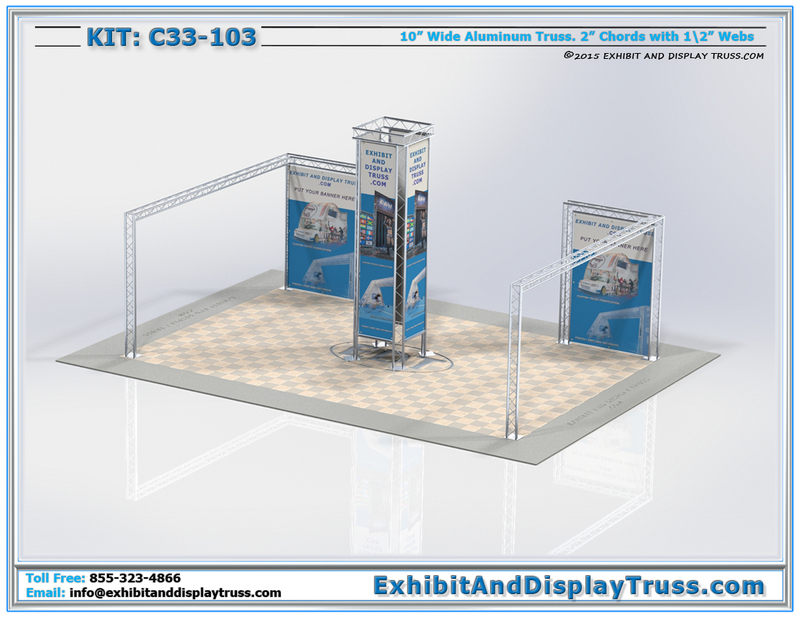 We can custom design and create any size, shape, or style of display truss booths that dont fit into the standard 10′ x 10′, 10′ x 20′, or 20′ x 20′ trade show booth kit size. 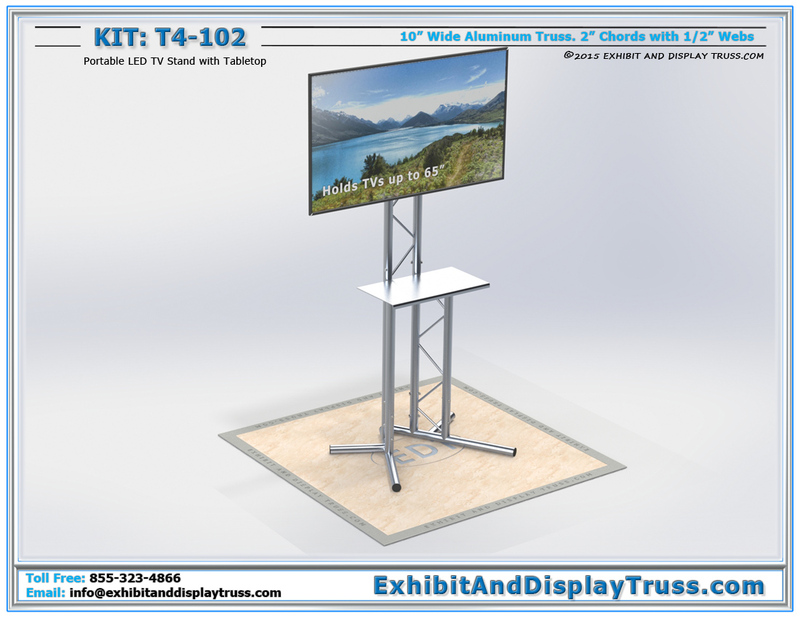 Many larger booths can be configured using multiple smaller booths but when you need something specific let us know and we’ll create the perfect display for your trade show or convention hall. Modular Aluminum Truss Systems can be used for just about anything you can imagine. 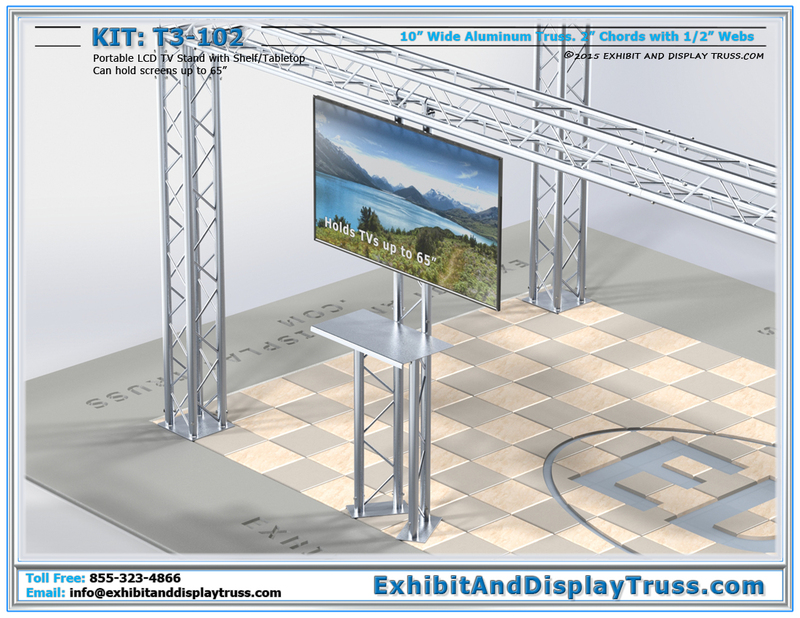 Whether its a museum exhibit design, exhibit lighting display truss, robotics completion pit booth, conference walls, banner walls, or any other specialty exhibit, we can create the size, specific dimensions, or style you require. 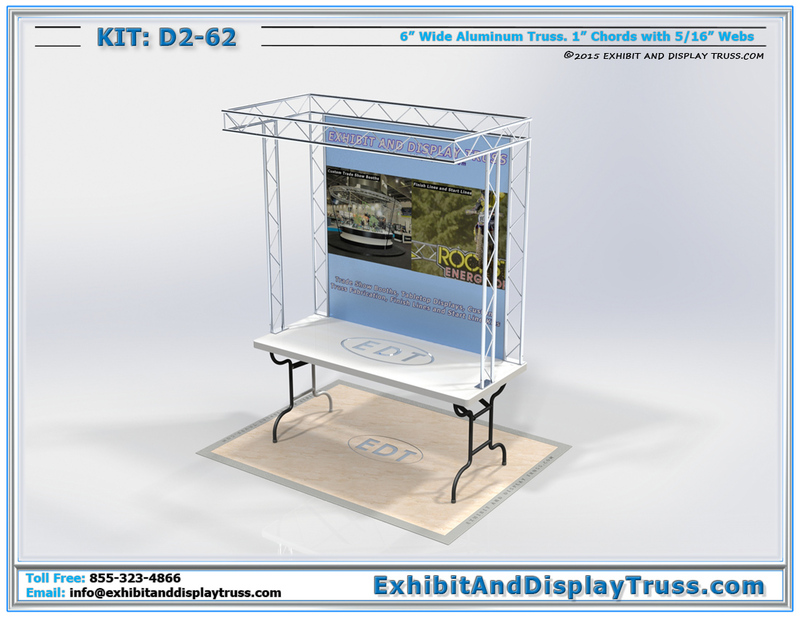 Look at some of the standard smaller booths and let us expand them out to meet your trade show floor space. 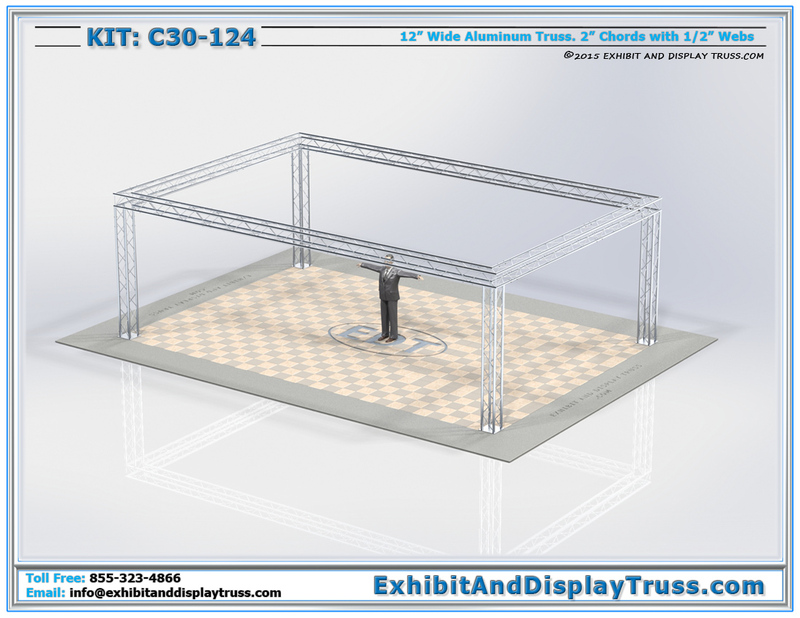 Connect smaller exhibits together with linear truss and hardware to create a large exhibition exhibit. 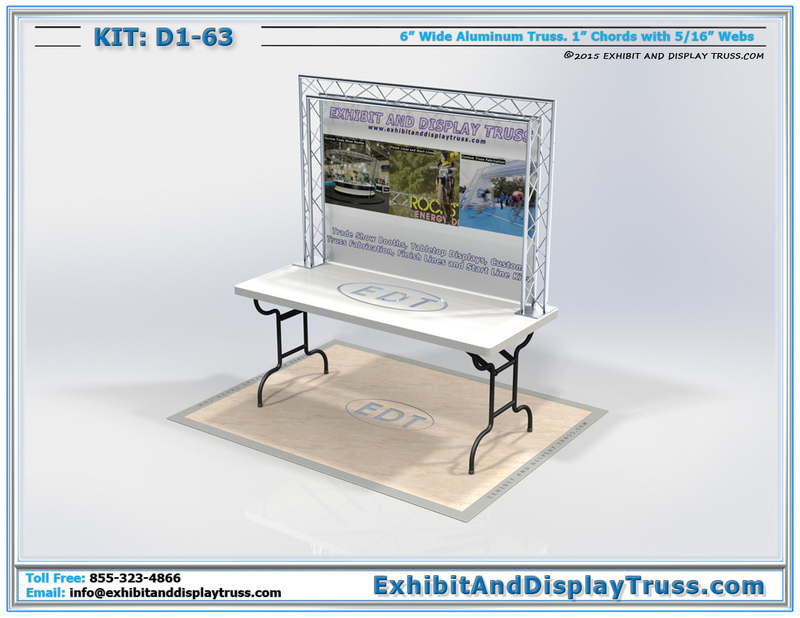 Call or email us today to discuss your truss display needs and specific requirements. 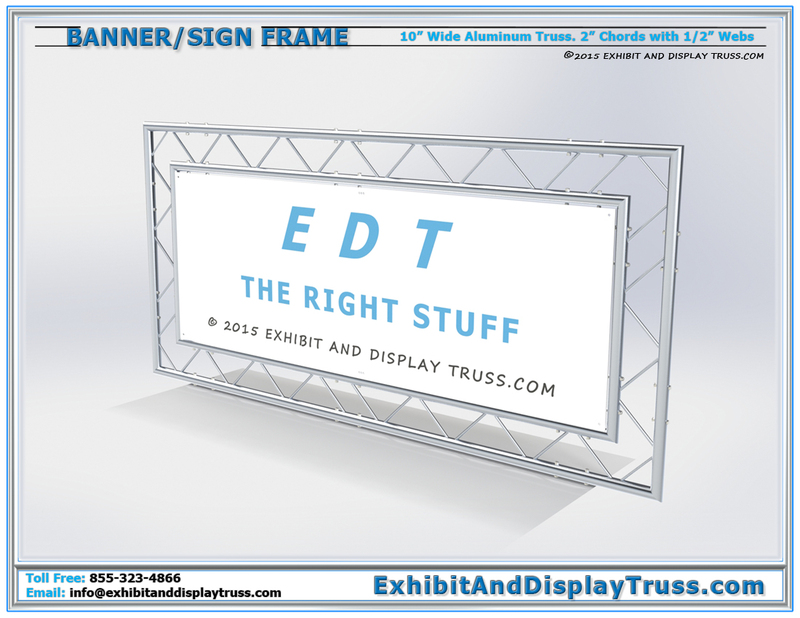 We’ll work with you and your team to figure out the best truss size and design to meet your needs. We always try to include multiple configurations with your inventory of parts. 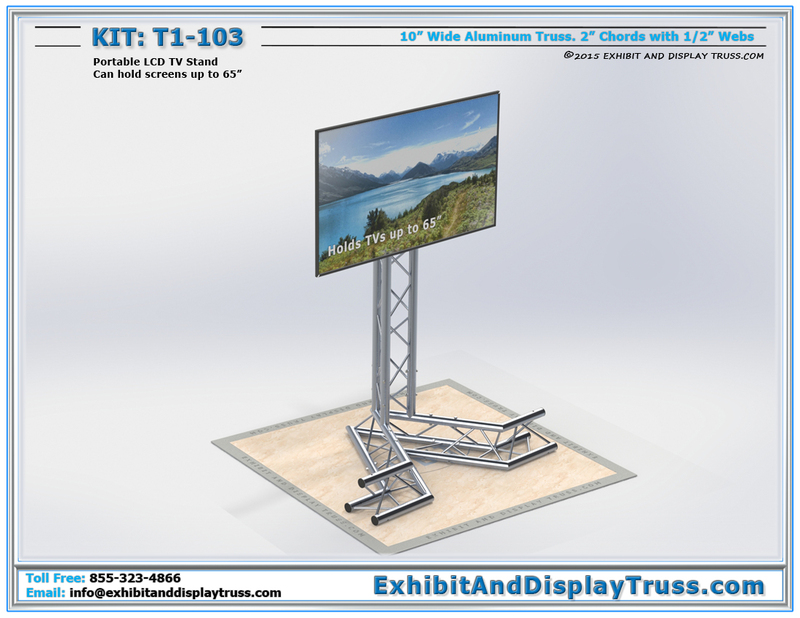 Flexibility is the key to a functional, value added display package. 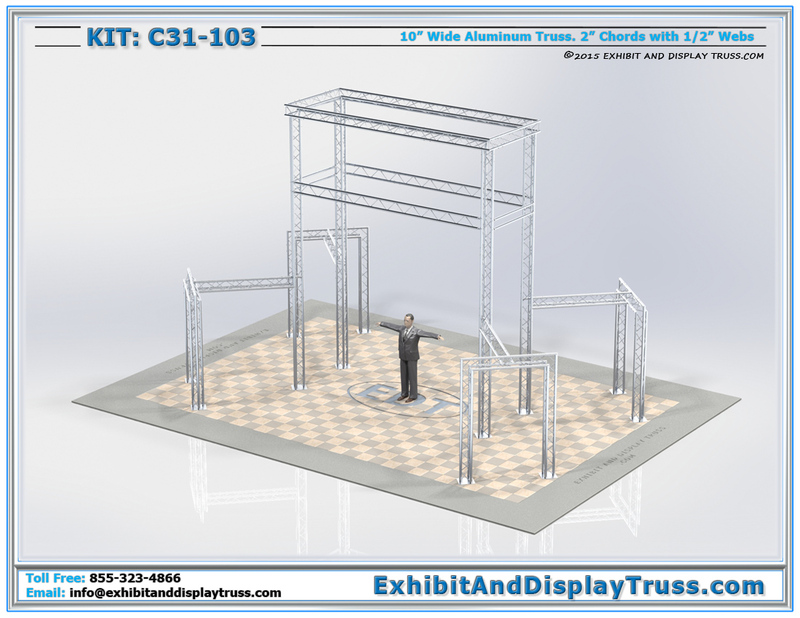 We’ll provide 3D Digital drawings, images and technical drawings for your display. If you are working with a company that can not create custom drawings and documents for your display purchase you are working with the wrong company. We make aluminum truss structures and we are very proud of our customer service, we’re second to none. 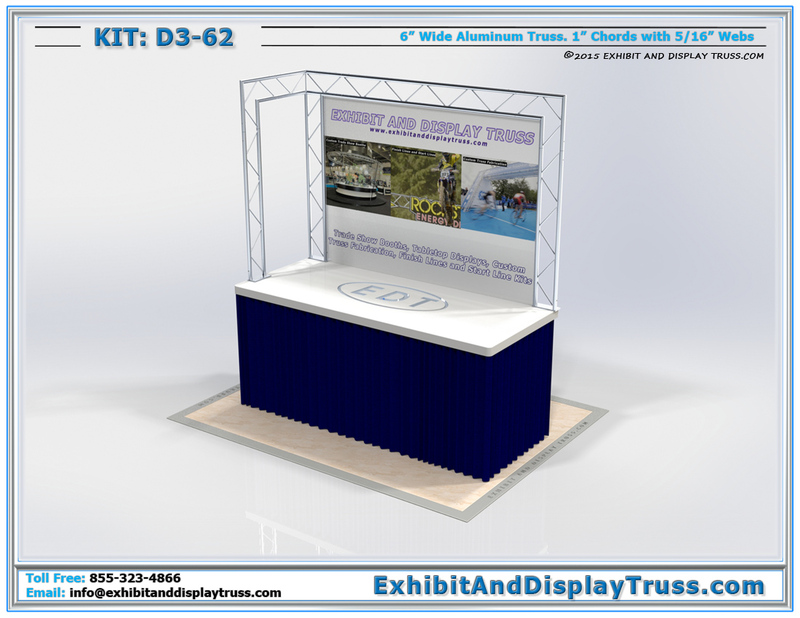 Let us help create a modern, exciting and easy to use trade show display system for your company or project.